Sam Tyszler is a technology professional, specializing in networking and application delivery, personal technology, and classroom and back-office applications of educational technology. He has been with Yeshiva University for over a decade. His most recent assignment has been as Associate Registrar in the University Office of Enrollment management. In this capacity, Sam is responsible for supporting the technology needs of the University registrar offices and the Enrollment Managment office at large. In addition to his technology-oriented role, Sam serves the University’s Wilf Campus undergraduate community as Registrar. Prior to joining the Enrollment Management office Sam has served in the University’s Information Technology Services department as Senior Project Manager & Technology Standards Specialist. In this capacity he led major University-wide projects aimed at modernizing its technology infrastructure and delivering mission-critical services. Sam also played a key R&D role tasked with evaluating new technologies and advising senior management as to how they fit in to University IT objectives. 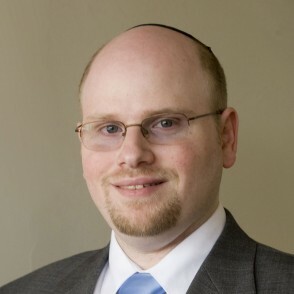 Sam has also served the Yeshiva University High School for Girls as its first Technology Coordinator. He designed and built its entire technology platform from scratch and provided day-to-day support to all of its members. Additionally, he taught regular IT classes covering topics ranging from fundamentals to system administration. Sam conducts regular training with faculty and administration alike with the aim helping them get the most out of the University’s technology investment.